I mainly use FortiClient for the VPN connection from my home to the company where I work. It is a VPN client easy to use, configure and maintain. It is constantly updated and with the option of VPN consumes few resources of the laptop. FortiClient is not only based on a thin VPN client but also integrates a security suite of the Fortinet brand. You can choose what option to install as if it were modules. These modules are antivirus, firewall, web filtering, application firewall, FSSO, FortiSandbox, SSL and IPsec VPN access. Each section is optional at the time of installing the application and does not require in certain cases the use of a Fortigate in the network, since the same software offers all the benefits as if it were a business fortigate. The points that highlights that FortiClient in my personal appreciation is web filtering and application firewall that adds a plus in a free software, has nothing to envy to premium security suites. As a negative point of the program is that if you want to have all the benefits of the application, that is, all modules require a computer with good computing and memory capabilities, since it consumes a lot of resources to keep the computer safe in all the senses. From the rest the software develops correctly. More than problems to resolve, we have chosen to use FortiClient only for SSL and IPsec VPN access, as each company team uses its security (antivirus) tool. VPN connections are a secure method where we can connect to our internal network. These connections are handled under IPSEC and SSL protocols. For this case the VPN connections in my network are handled with the forticlient tool with the manufacturer fortinet where the user and password are configured in the firewall and a policy is assigned giving the permissions to which subnets it has access to. At the same time forticlient acts as a mini firewall on the computer where it is installed giving security to the computer. One of the weak features of the forticlient is the large processor consumption that the tool has when installed on the computer at the processing level. With the new updates the tool has functions that make our teams work at high performance by slowing down the processing of information in our final equipment. And how delicate is the configuration of end users on their computers. Assigned fixed public IP to remotely access the local fortinet. This tool has helped me to offer remote connections to users who work in the company but for certain reasons they have to do it remotely. The forticlient tool provides us with that solution to connect to the internal network and make use of the resources of the network.
" remote access VPN with forticlient"
With fortinet's forticlient client we can connect to the internal network through a SSL conxion created in the fortigate. The client is simply downloaded over the internet and the remote host is configured. This case is the public IP of the fortinet where the user was configured. Through this tool we access the internal network and can use any resource that is in our network remotely. The delay of remote connections in which always affects a remote connection and forticlient is a tool that does not exceed this rule, the forticlient connection will depend directly on the internet connection speed that we have, apart from the consumption that generates A VPN connection with client fortinet represents a large consumption of bandwidth. With the help of the forticlient tool, employees who work remotely have access to the resources of the network, either servers or internal tools that do not have access from their place of origin. "The virtual presence advanced by forticlient"
After an arduous search for tools that allow a virtual communication over the internet to accept the virtual presence of the personnel in the destination network. Forticlient is presented as a connection terminal that not only brings virtual private network functions, but brings advanced functions according to the current version as antivirus, filtered pages. The tool has benefited in an entrepreneurial or personal way the team where it is installed since it is a great strategy to have everything in one. As a function of vpn this is among the best high quality tools to connect to a destination without any problem. It is stable and secure. With forticlient we have seen a complete benefit since the fortinet brand tool has helped clients to establish direct connections to their jobs from their homes, therefore most of them do work and I can not find the availability of attending the site , it is presented remotely. It is very beneficial for the department to install this tool to help the different clients connect and complete the use of company resources. "Secure access through a VPN tunnel with Forticlient"
secure connection through a secure VPN connection offered by the fortinet manufacturer with the forticlient client. With the help of this tool I can connect remotely to the local network where the fortigate team is physically located. With the SSL protocol that this equipment offers, it guarantees a secure and encrypted connection for greater security. With the help of this tool I can access servers while I am out of the network. Remote connections require a stable internet connection, therefore the performance of the tool is directly related to the connection speed of the associated internet service. If the connection to the internet is unstable, the forticlient client may present failures when assigning the ip address. With the help of this tool I have been able to solve incidents outside of the office, with an Internet connection I connect with my credentials I can access the internal servers of the company in a secure manner. is one of the tools that I use most in the company that most of the time I am traveling, this tool helps me with the daily tasks. In the company we use the FortiClient tool for the VPN connection between our suppliers and workers with the company. It stands out for its ease of installation and configuration, which even the user can perform. In terms of security, the complete FortiClient package includes integrated antivirus, web filtering, control of applications, monitoring of operating system updates and the integration of Fortigate with FortiClient. The points in favor of the tool is that it is constantly being updated by improving virus stops and better controlling web browsing. It is a tool that can be used even without having a Fortigate in the organization and that is also free, competing with great security tools in the market. How any security tool provides the user or administrator of the network of logs of each module to use and the inclusion of adding a password to the options section. As a negative point of the FortiClient security solution is the excessive use of computer resources, if all modules are installed negatively affects the memory and processor, it is recommended to install the application in medium-high or high-end equipment. The recommendations when using FortiClient is only to urge you as necessary and more if the computer is low-income. The benefits that the tool has brought us is the VPN connection between the users and the company, having at any time a remote access from the comfort of your home.
" Most effective and secure VPN client"
I like forticlient is the easy configuration of the cleinte from the computer, also the application is multiplatform, since you can install in Windows, MAC, android among others that gives the application greater service coverage. Through forticlient I can initiate the connection through SSL and IPsec, those two options that fortinet allows me. The configuration in the IPsec profile is complicated, in some occasions when I access my VPN client and I am using the resources of the network I lose connection with the resources of the remote network but without losing my Internet connection. Being from my house an incident occurred in the internal network of the company, I have implemented a fortigate 500e in which I have configured the VPN user, and make the SSL connection with my FortiClien from my home and solve the problem of the network romota. "One of the best VPN app for end users"
One of the most important things for me it’s security, for IT departments apps like Forticlient make daily tasks easier than ever. For end users, it’s easier to download, install and connect through a secure channel to our corporate network. With a simple configuration file, there is no need to be a technology expert. For IT users it’s an excellent tool because simplify the old technical configurations, allow us to use different types of protocols like SSL VPN or IPSec. Another point for security it’s the extra layer with Two-Factor authentication. This app add Antivirus protection and Parental Control for users, so it's a plus. For us it’s really expensive to maintain the service up to date and licensed, we need to combine all the futures to ensure that financials departments understand his value. There are some issues related to bandwidth connection (mixed with Internet Providers), recently our users claim that network tunnel fails if they are using apps with high consumption (video conference, streaming, etc). It's one of the best firewall solutions at the market (Cost vs Benefits) you can contact a reseller and request a DEMO. 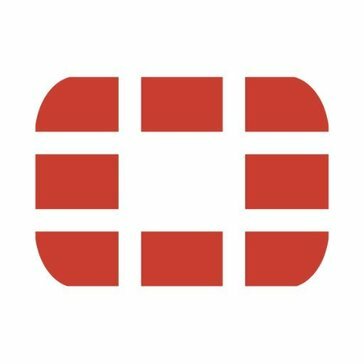 Most of our employees use third parties apps to connect to their computers and do remote work, we use Fortinet as firewall so we add an extra security layer for them. Now they have an app at home to access his files on the main server without problems. FortiClient is extremely simple, especially for the level of protection it offers you over the VPN connection that it creates. There are only the bare minimum, essential settings available, making setting up a new connection as easy as could possibly be. Actually using the connection is just as simple with a username, password and the two-factor authentication via mobile. The status of the connection is minimised to your taskbar and it lets you know when something goes wrong. The interface is possibly the only thing that I don't like about the software. It feels as if it has been left behind in the 2000's. This doesn't really affect the useability, but if a user were to compare this to some of the other interface types out there, they may be tempted to make a gut feel choice of software based on interface quality. This is a really good software package. Although I haven't tested much else, FortiClient is extremely convenient and easy to use; I can't see one needing much else. Being able to connect securely to the company intranet across multiple sites is a lot easier when you know your data is safe at both ends as well as in transit. I am able to get more done without having persistent dropped connections and re-verifications of my credentials. "Una buena herramienta para VPN"
"Secure access by VPN Forticlient"
For users who work outside the company or are constantly traveling and need to use resources of the internat network, a VPN connection is used to access the network. Forticlient is a VPN client of fortinet where the user and key assigned by the network administrators are configured. When installing the client you have the option to install an antivirus agent and web filter that allows you to apply security to the computer without having a fortinet in the network. the vpn connection depends on the internet speed of the equipment for the response times of the resources, the configuration of the computers with the user vpn must be with the public ip of the fortigate to access through the public ip and the access is correct . With the application of the forticlient we solve the remote connections of the users that need resources of the network, also it is possible to apply security in the equipment where the forticlient client was installed. "The increasingly secure presence by Forticlient"
"The vpn medium is closest to your company"
"FORTICLIENT. Mini firewall in your hands"
"Works great but has to improve"
what i like the best of this vpn software is that is really fast the conection and also very secure , the software itself is not difcult to install and easy to config. Me parece una aplicación muy buena con grandes beneficios especialmente te permite enlazar conexiones te permite conectar con diferentes redes de tu organización por medio de una de un cliente que instalas en el en la computadora con un usuario y una contraseña es una conexión estable y segura. Una limitación Es si no posees un ancho de banda bajo o adecuado la conexión puede perderse o no conectar. La aplicación puedo ser usada en tanto en un dispositivo smartphone y computadoras permite establecer una conexión con VPN con con tu empresa o con o con cualquier otra organización. Puedes solucionar problemas trabajar de forma remota sin estar físicamente en tu lugar de trabajo. For one, I like knowing that my computer is secure, and two, it makes it easy to access our work servers when I need to work from home. The notification bubble that pops up when 'FortiClient has been updated'. It pops up on my screen multiple times a day, and I'm not 100% sure what it is for, but it can be distracting when I am working or waiting on a response from a colleague via Slack (the notifications pop up in the same spot as Slack notifications). It's great to know that our information is secure, much of which is sensitive as with any other business on the financial end as well as customer information. I really also like knowing that by using VPN to connect to the servers at work if I am working elsewhere, I know that it is a secure connection. "The Best Integrated Suite for Network Security"
- Integrated suite which included antivirus, firewall and vpn client. - Oriented to corporate uses. - Allow to make a backup of the configuration. - Provide security to the configuration panel using password. - Antispam and web filter functionalities available. - Quickly Security threats detection . - Antyspam functionality only working with outlook. This security suite is very useful and provide a set of tools (antivirus, firewall, vpn client) that working together make us feel great confidence about the security e integrity of the information stored in our devices like PCs, Laptos, USB. Higly recomended. Fast, secure, stable, easy to use, excellent protection, detect any malware on my operating system. for now i don't have any dislike of this software, because is gave me all the secure that im looking for. Excellent product i highly recommend it to every one to use this software, is secure, easy to install , fast, stable and more. the benefits that i have of forticlient is the excellent anti virus for my computers, protect all my files and detect any malware or any infected file. "Full firewall solution for all network sizes." Fortinet provides complete firewall, web filtering and log analysis with their FortiGate and FortiAnalyzer appliances. There are different models for any size of network. Basic setup of he firewall is easy and intiutive but you can also take advantage of the webfilter, antivirus, application sensor modules. About the webfilter, Fortinet categorize every website and you just have to authorize or deny website categories to your user groups (local or active directory). Application senser allow you to block traffic from specified application kind (for example P2P softwares). Firewall is quite standard with the classic objects (FQDN, interface, destination, action,...) and it also features some traffic shaper option. It's also possible to have 2 appliances working together in high availability to ensure a permanent network connectivity even if one of the appliance crashes. The web interface is sometimes slow and the beginning with the console is a bit difficult : searching rules / objects is not very intuitive. If you're searching for a complete firewall, internet proxy, antivirus within one appliance you should give Fortinet (FortiGate) a try. If you need to analyze firewall or internet logs, then FortiAnalyzer is a nice product too. We use it to filter internet acces of our users. Checks for missing patches and has integration with Fortinet's cooperative fabric. Just a little thing. It keeps popping up a reboot message to the client. It does it enough to make them complain. Forticlient on it's own is a good endpoint A/V but with the ability to operate in conjunction with the other Fortinet products is awesome. I am able to work anywhere with FortiClient. There are times when I am working that I have login back in multiple times. I am able to work from home on the weekends to meet deadlines. When the weather is bad I can work from home and not have to drive to work. Because I am remoting in to my computer at work I have access to all the files and programs that I need. "Forticlient! The VPN of Champions"
It's great to be able to create different realms for different levels of users. We have a IT realm for access to all systems and our datacenter, a Users Realm that provides access to only user resources and a Visitors realm, which we can delegate access to specific systems. It is fairly simple to use, I must say. We use it for two county VPN connections and have had very few issues since the original version. The software itself is fine with the newest version. The older versions were much more complicated. Also had a hard time finding the actual version we needed. Find the correct version recommended by the County/Customer you are assisting. 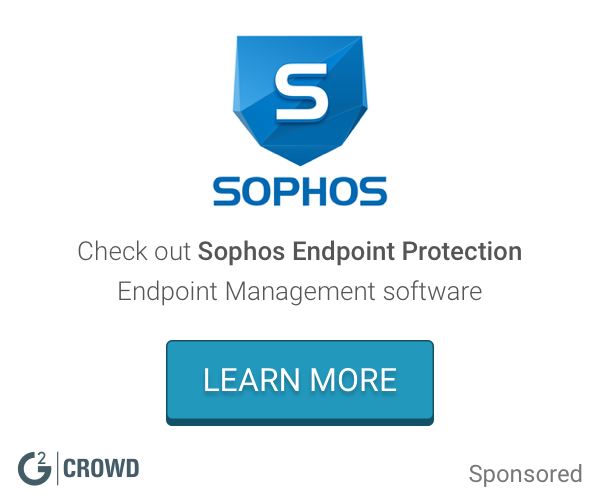 "A complete network and security management solution." I think that this is on of the the best way to implement an only-one solution for security in your network. You can manage and control: Intrution Prevention System, SSL ispection, Firewall, Routing from different subnets ecc.. Depending on what has been my experience, the biggest problem was due to licensing: when the license is expired the navigation's controls are broken and even the navigation is blocked and obviously this creates inefficiency company and users. There are multiple devices (phisical products) available, each device is suitable for a defined number of users. As i've previously mentioned, keep a check (be careful) on the license period. In my previous work experience, we have centralized the entire network infrastructure, we used fortigate 800c for our company, and we have installed a lot of different devices for different customers with excellent results and satisfied customers. "Quality product for the cost"
The price point. The fortigate units are stable, powerful, and provide a lot of bang for the buck. Software functionality has mostly worked as expected. Clustering process was simple. IPSec tunnel has been reliable. And the throughput is more than I expected for the price point. Wireless LAN controller has been stable. VPN configuration required some command line intervention. Upgrading to the newest OS failed once. The backup OS image was then corrupted and I had to load OS using USB thumb drive. Command line interface is clunky. Wireless LAN controller cannot run active/active in a cluster, so for our small deployment, where AP's are directly attached to fortigate controller, we had to either attach all AP's to one fortigate controller and manually fail over, or divide them between two fortigate units, but live with AP's on the standy fortigate unit being dormant. Though occasionally a little clunky, you cannot beat the bang for the buck. This is not a cheap SOHO product. It has real enterprise management capabilities, and stability that is required for corporate and industrial environments. So if you can get past occasional quirkiness in configuration, you will really like FortiNet. Low cost IPSec tunnels for remote offices. FIPS compliant wireless infrastructure. The fortinet FortiGate firewalls have been reliable, cost effective, and easy to deploy. "A different type of company"
I'd be kidding myself if I said that Fortinet isn't every bit as useful as Cisco. The number of features available is almost overwhelming. Fortinet may not lead the market with innovations, but they are right at the heels of whoever is. Not to mention that Fortinet is an extremely profitable organization. The users interface of many of their products is less than intuitive. While it has functionality, many of the feature will leave the lab half-ready. Possibly due to their inability to support all of their products and features to the necessary extent. When considering an enterprise network security solution, Fortinet should definitely be heavily considered. Fortinet is a fierce competition of Palo Alto Networks and Cisco. "Consistently good VPN connection every time"
I like that the FortiClient VPN is easy to install, setup and use. It installed quickly and cleanly the very first time (which is rare for me because I have so many other VPNs installed that tend to interfere.) Fortinet Client connects quickly and connects when other VPNs are connected. I can still access my network and internet while it's connected and can connect to my customers using remote desktop and/or ODBC connection to their SQL Server with no issues. I can't think of anything I dislike. I wish more of my customers would switch to Fortinet for their VPN solution. Using Fortinet Client to connect to other networks is a very dependable, stable VPN solution. FortiClient is a secure, safe VPN client and can handle lots of data passing back and forth with no noticeable slowdown. Being able to connect to my customers with an ODBC connection allows me to troubleshoot their software from my PC to quickly assess the problem. The speed of the connection is very good and I am able to run the software over the VPN connection the same as being on site. "Installation and deployment very easy to follow!" What I like most about this product is the easy implementation and configuration, connected through the firewall with the correct policies is a very secure tool. So far so good! worked as expected in the right way. Anti-virus and a VPN solution in one hand. "The high level firewall Fortigate"
I had trouble to establish a VPN connection with a another brand appliances "sonicwall". the connection was frequently interrupted. I had to test different configurations, losing some time to make a stable connection. FortiClient is quick and easy to use and makes my work flow a lot easier when trying to get remote access, within a matter of seconds I am on my companies VPN without having to dial any numbers and listen to prompts like many other companies. A simple user name and password and I am connected. I have just started using this program and so far there is not anything that I currently dislike. Ability to grow and scale with our business. We switched to Fortinet from Cisco and we find the enterprise solutions are better and easier to use for us. So far so good! Not any complaints as of yet. We had Cisco for several years and trusted the name brand. But when we made the decision to go with Fortinet we found it was the way to go for us. It allows us to fulfill our administration needs from the IT perspective without any limitations. Securing and managing our domain and network. We have been in growth mode for several years and Fortinet is allowing us to comfortably meet the challenges that arrive when it comes to security and network management. "Forticlient: Great VPN remote tool, OK Antivirus"
VPN connectivity is simple and reliable. Not crazy about the anitvirus part, but we don't use it anyway. Fortinet firewalls are wery powerful and easy to install and maintain. The price for that boxes regarding the features and the quality is quite low comparing with other vendors. It's a leader into the Gartner Magic Quadrant for many yeasr. I really suggest it. there are really issue with those system: the only thing that I can report is the lack of reporting and audit without the Fortimanager and/or an addition logging systems. "Fortiweb provides all the tools for security of my websites"
The ability to lock down critical websites and make them secure as possible. Learning curve is quite long and users need specific training. Hard to become an expert in all aspects. A great product that ensures you have security of your web properties. We have made all of our web properties more secure and have more peace of mind. Lightweight VPN client. Simple interface for users. Some issues with connections hanging related to client and endpoint version issues. These were hard to resolve until the latest release of both the endpoint and client. We use FortiClient to allow our users to connect remotely back to our home network. This allows us to do this simply and easy. "Very Easy to Use VPN"
Started using Forticlient last year to work from home. It allows me to connect seamlessly to my office infrastructure and take advantage of working on the go. Connecting to office infrastructure from home and on the go. intuitive interface, it needs a minimum of experience to understand the functioning of the rules but in the end it is very logic. too expensive for end user and annual subscription. security and wireless control. Also create vpn connection point. "Connecting into our office network with security"
"Fortinet FortiGate 320 series Firewalls Bundles"
"Gets the job done... usually"
The thing I don't like about forti client is that I view it as unpredictable. I am not always able to sign in on first try and sometimes have to restart my computer for it to work properly. "Fortinet provides affordable integrated security resources"
Definitely a reliable, robust, and comparatively affordable product line. We needed a central place to manage internet security. We are able to track activity on our network to troubleshoot problem access and shut it down. "Decent but buggy software products"
Solid hardware and easy to use software. Poor support and issue prone software, slow to issue fixes. Fortinet products are easy to use and feature rich but are plagued by trivial bugs and poor support. Security management for a small IT team. The software is easy to use, which has been a big benefit to our team. The product works as advertised. We are able to customize blocking and set permissions. Being able to push out updates to the firewall settings live is extremely helpful. Some of the preset lists are overeager in blocking websites. We've had a few instances where important websites have been blocked, and the administrator needed to unblock them. Make sure you take the time to view the blocked firewall list. We've been able to cut back on productivity losses. Employees are able to view work related websites, and do their jobs, with minimal distractions. It has helped protect us against malicious websites as well. Fortinet has a broad and expansive product line. While most known for their UTM capabilities, they have branched out into email security, database security, and wireless endpoint security. The Fortinet UTM/Firewall is top notch, with a ton of features. The capabilities they've been able to provide while taking advantage of the ASIC chip is a testament to their technical prowess. I have deployed them in small organizations, and have seen them deployed in very large enterprise implementations. The wrappings with FortiManager and FortiAnalyzer allow a complete rollout to be managed through one console. With features comes complexity. You really need to be a firewall guru to effectively implement and manage a Fortinet UTM. One can get by on the basic features without too much consternation, but if issues arise then troubleshooting really takes some deep technical knowledge. The tools are there to accomplish the troubleshooting, but you have to know where to find them and how to use them. Excellent solution for organizations that can think about the all-in-one solution of a UTM. The Fortinet UTM is first rate. The FortiMail product has come a long way, but still lacks in overall market acceptance and in ease of use. As a small but growing business, we wanted to add network security without hiring a security expert. We've been able to deploy the Fortinet FW plus 2 wireless access points, providing our business with excellent security, manageability, and flexibility at a pretty reasonable price. "Secure, but a pain to connect to"
Forticlient is a software who can help us to connect VPN in simple ways. When starting the configuration, we need see from fortigate device settings. The IT Network can handle and troubleshooting everywhere with internet connection absolutely. Easy to set up and configure. It is easy to deploy to mass amounts of PC's if you have the proper licensing. If you don't it is a bit harder. Software can be buggy at times and some of there software (Forticlient) have ads in it. Helping connect remote employees to the main office. * We monitor all FortiClient reviews to prevent fraudulent reviews and keep review quality high. We do not post reviews by company employees or direct competitors. Validated reviews require the user to submit a screenshot of the product containing their user ID, in order to verify a user is an actual user of the product. Hi there! Are you looking to implement a solution like FortiClient?